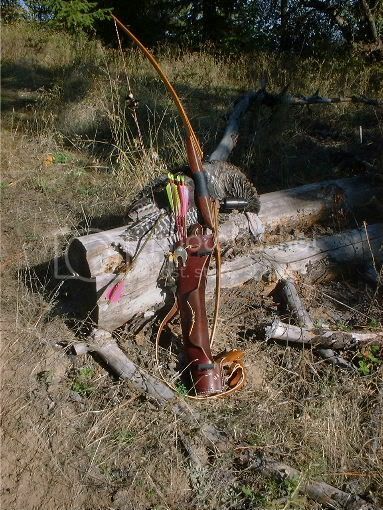 There is nothing quite like bow hunting for turkeys. Here are a couple pix of that very thing. The first is my spring bird, a young Merriams tom. I called him (along with 4 others) using a combination of one of my box calls and one of my wingbone calls. The second pix is my fall season bird, a Merriams hen. I killed her hunting a food source. Both were killed for a ground blind and a string tarcker device was used to recover both birds. Ed, both are great pics,but the top photo is just plain Awesome! Very nice. Congrats on an exceptional harvest. 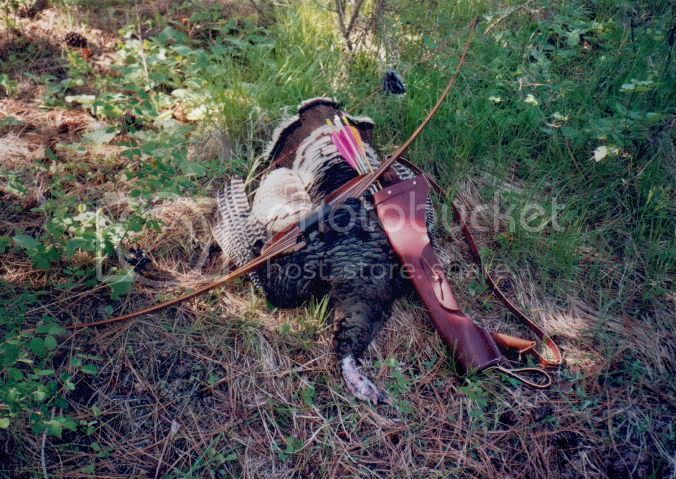 Turkeys are durn tuff to take with trad equipment.